… things to Do with Kids in Cape Overberg – Take a drive out to Greyton and spend a fun day or two exploring this quaint town. Take in the beauty of Greyton at your own pace, enjoying the scenery around you – by bicycle! 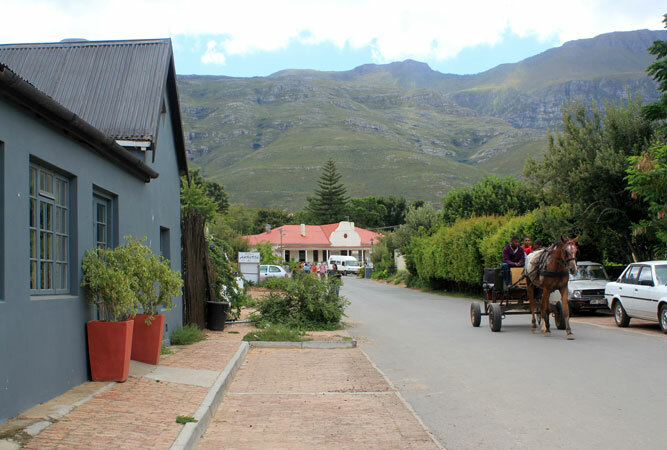 In this wonderfully scenic town, Greyton Bicycle Hire (#94) provides people of all ages the means with which to view Greyton and the surrounding areas by bicycle or simply to have fun by riding one of the ever increasing number of tracks. 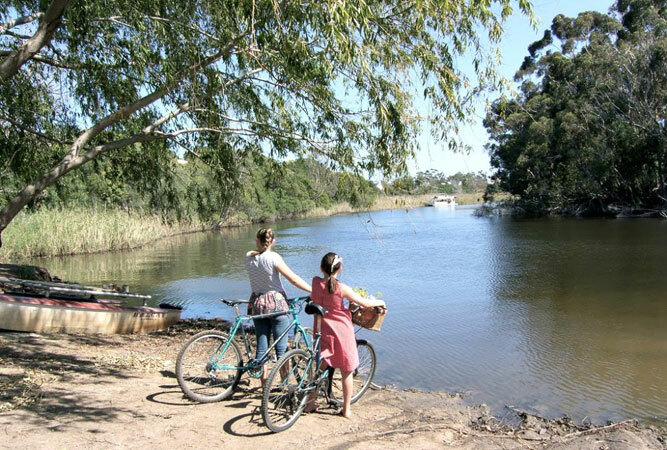 And for those of you with very ‘little ones’, Greyton Bicycle Hire even have baby carriers for their bicycles so the whole family can join in the fun of exploring the countryside. Once you’ve finished your cycling expedition, there is plenty more to keep you all occupied in Greyton. Stop off at Abbey Rose (#95) for tea and scones and spend some time contemplating the next family activity whilst you enjoy the vibe! Still in the magical little town of Greyton, Diadème Equestrian Centre (#96) offer scenic trail rides for experienced riders as well as lessons and rides specially for children. 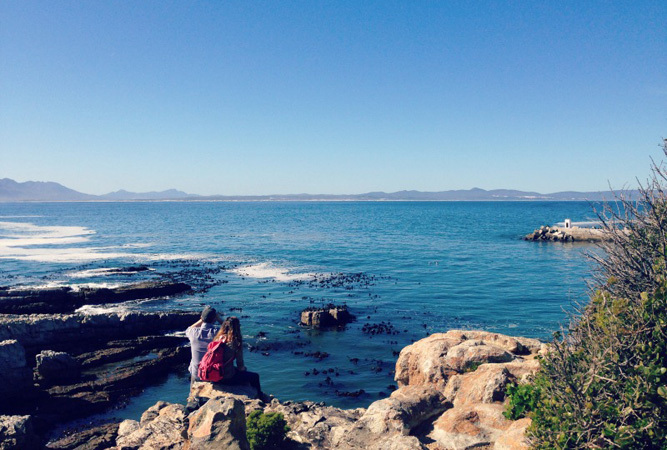 During the Whale watching season (June to December) take a drive out to Hermanus and spend a day exploring with your kids. Children of all ages will enjoy watching whales from the cliff path (#97) – take a picnic, there are lovely seating areas and its a lovely way to spend some time outdoors. 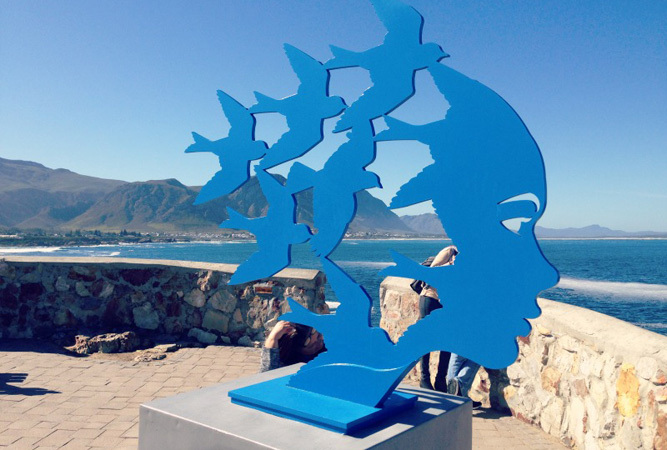 Lookout for the Hermanus Whale Crier (#98) – there is a whole series of horn blows that the whale crier gives to indicate different points along the coastline and the number of whales spotted – and it’ll be fun and educational for the kids to learn a bit about how to spot the different whales. Afterwards, take them to the Whale Museum to see the Whale Show (#99). This is an audiovisual presentation by Noel Ashton, who, using his paintings and scientific illustrations, will take you below the surface and bring you face to face with these magnificent ocean travellers, telling the story of their fascinating underwater lives. The Whale Shows runs daily at 10h00, 12h00 and 15h00. If moms want to do a quick bit of shopping after all the whale-watching, drop the kids off at the Funzone Indoor Play Centre (#100) for an hour or two. Kids will enjoy the modular play system, giant jumping castle slide, climbing walls, arcade games and a whole lot more. Klein River Cheese Farm (#101) in nearby Stanford (about 10 minutes drive from Hermanus), provides a lovely venue for the whole family. Whilst Mom and Dad browse the shop or do a cheese tasting, children can enjoy the petting farm and get to see chickens, ducks, foals and calves (and dogs of course), as well as play in the playground. Afterwards, enjoy a delicious picnic lunch on the banks of the tranquil Klein River or in the garden. This article is from the series, “101 things to do with kids in Cape Town“, revisiting popular kid-friendly venues and including a few new finds to entertain children (and the young at heart). See the links below for “Things to Do with Kids” in the other regions of the Cape, and please leave your suggestions and feedback in the comment field below – we love hearing from you!